Some state funding is giving a Finger Lakes Museum & Aquarium project a big boost. The state Department of Environmental Conservation has awarded the Guyanoga Road organization a Trees for Tribs grant in the amount of $38,000 to be used over two years. The Finger Lakes Museum & Aquarium will use the money on its Sugar Creek Restoration Project. “The goal of the Sugar Creek Restoration Project is to improve wildlife habitat, water quality, and climate resiliency along Sugar Creek, a main tributary to Keuka Lake,” explained Kelley Jo Eliot, assistant director at the museum. 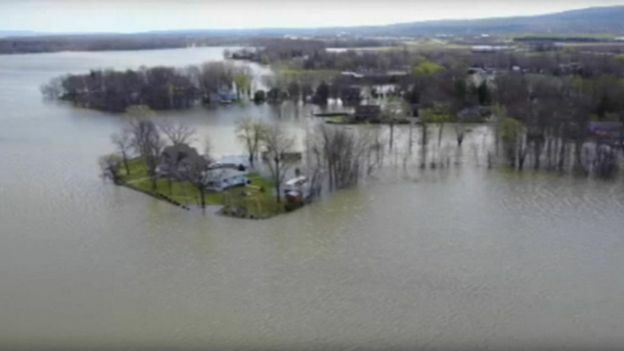 “These properties, which include two designated wetland areas, are located at the mouth of Sugar Creek, right before emptying into Keuka Lake. Sugar Creek is one of two main inlet tributaries to Keuka Lake, located on the lake’s northwest branch. Finger Lakes Museum & Aquarium also will be partnering with the Izaak Walton League and Branchport/ Keuka Park Fire Department to use all of its combined land to plant approximately 3,160 native trees and shrubs, all grown from state-sourced seeds, on roughly 13 acres along Sugar Creek.